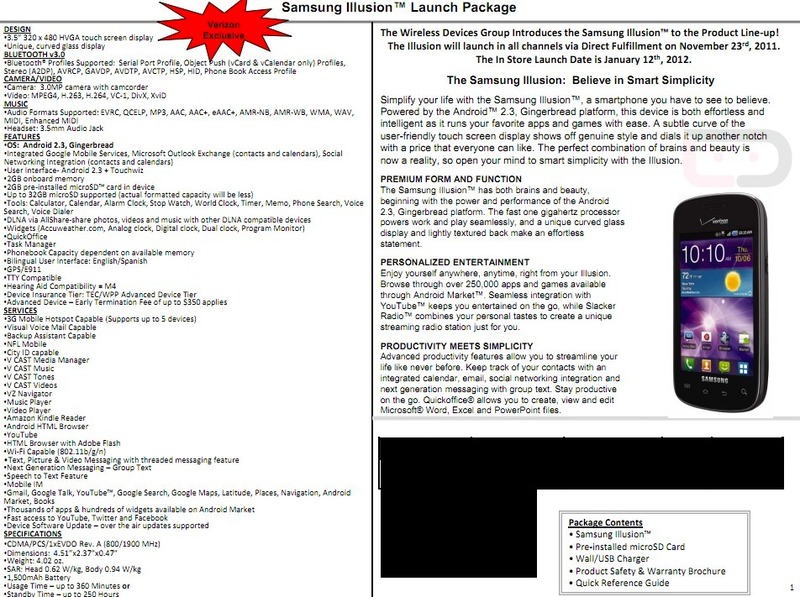 No, the Galaxy Nexus has not been renamed to Illusion. This is about as low-end as you can get for a smartphone these days, but we still thought we would share. It’s a 3G Android phone with a 3.5″ screen that lacks a front-facing camera. It is running Android 2.3 though, so at least it can laugh at some of its brethren including the DROID Charge and Fascinate who are still stuck with Froyo. Will more than likely be free on contract, as no one should have to pay money for this phone.